You walk into a dark room and the lights magically come on. You’re sitting at your desk and the room lights dim as the sun streams through your window. You’re away from your home, but the lights turn off and on to suggest that someone’s there. You have modern lighting control systems to thank. 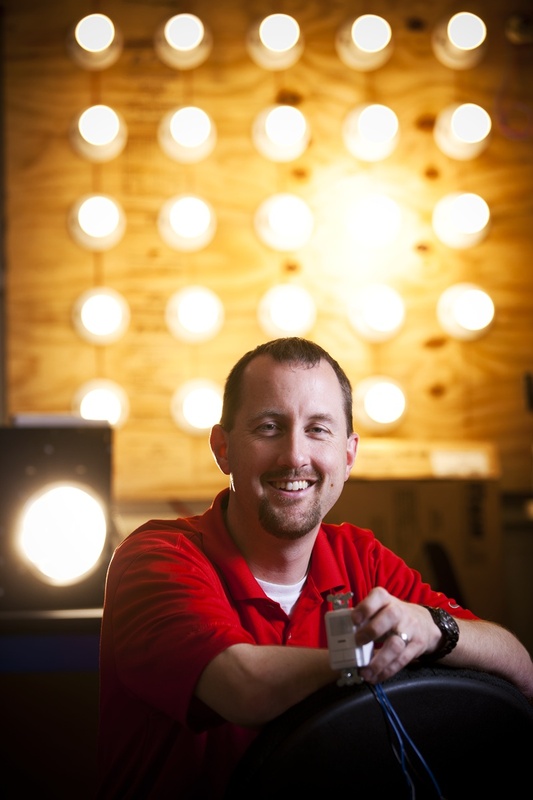 Ben Hahn (’98 electrical engineering) works every day to make sure that his company’s sophisticated lighting controls are the lowest cost, highest performing systems in the country. Ben is vice president of Sensor Switch in Wallingford, Conn. A division of Acuity Brands, Sensor Switch manufactures occupancy sensors, time-based controls, and photo sensors for energy savings and occupant convenience. On a tour of the manufacturing plant on a Friday afternoon in early May, I was struck by the similarity between lighting control sensors and computers. Ben explained that the sensors really are tiny computers. We saw robotic machines and a human work force assembling, labeling, testing, and boxing the products in a precise, streamlined way. Sensor Switch provides lighting control systems for new construction as well as retrofitting existing buildings. 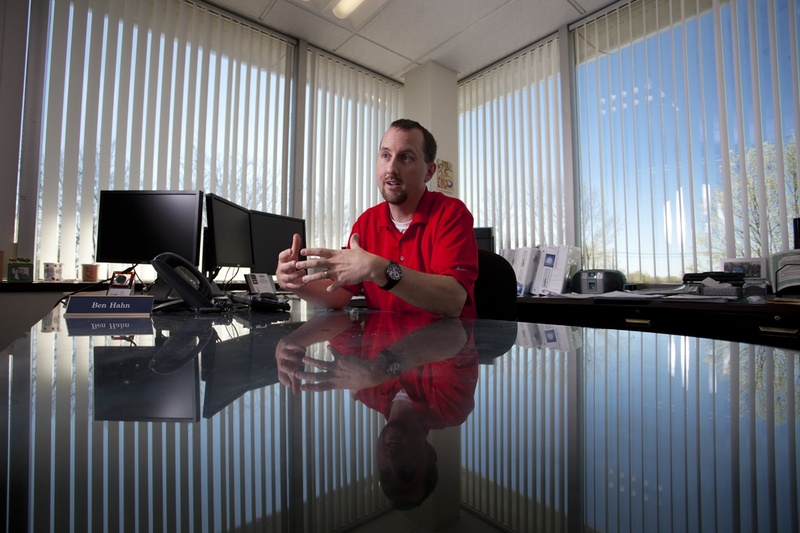 Ben started with the company in Minnesota, where he got involved with marketing and product management. He moved to Connecticut in 1999, and he decided to stay. “I liked the job, and I met a girl,” Ben says. He and his wife, Marci, now have two sons, Simon, 7, and Tyler, 5. “My kids know I’m a Cyclone fan,” Ben says. “Even out here, we can watch 95 percent of football and men’s basketball games” on Direct TV or online. Ben took Simon to visit the Iowa State campus last July. “It’s never too soon,” Ben said with a smile.